The Rhodia Goalbook is a new product specifically designed for bullet journaling with numbered dot grid pages, index pages, and undated monthly planning pages. For lots of photos of the features of the Rhodia Goalbook, you can see this post here. Michaela at Between The Steps recently did a very detailed comparison of the Rhodia Goalbook compared to the Leuchtturm 1917 notebook. So if you’ve been wondering how the Goalbook compares to the Leuchtturm, this video should answer all your questions! Spoiler alert: she loves the soft feel of the cover and the excellent quality of the paper! I watched the first 3rd of her comparison, but she is so taken with the (inferior in my opinion) Leuchtturm that I finally clicked it off. 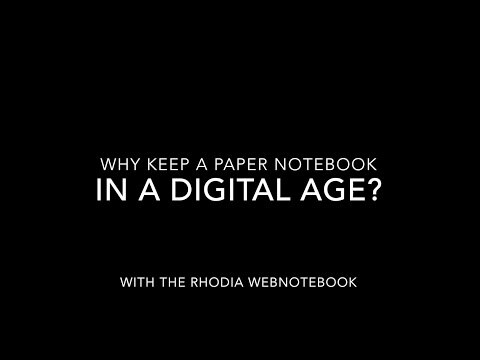 For fountain pen users, there is NO COMPARISON between the two notebooks – Rhodia wins hands down. Thanks for sharing this. I can’t wait to get my hands on a Goalbook! They look great.